Raised in Orlando, Damon was the top rated High School prospect in the country his senior year at Dr. Phillips HS. Damon was drafted by Kansas City and also played with Oakland, Boston, New York and Detroit. 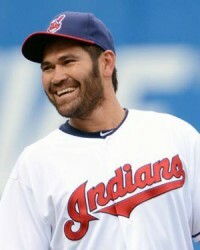 Entering 2011, Damon has made the all-star team twice and won two world series. He led the American League in runs (136) and steals (46) in 2000 with KC and in triples with 11 in 2002. During 2010 he got his 2500th hit (top 75 all time) and 1000th RBI, while ending the season with 499 doubles (53rd all-time), 1594 runs (47th), 392 steals (76th). He played for the Tampa Bay Rays in 2011. On July 2, 2011, Damon went 4-for-4 and his first-inning single moved him past Ted Williams on the all-time hit list. He would finish the season 57th all-time with 2,723 career hits.